And I’ll never forget these elephants. I don’t think I’ve ever had as much fun or been as happy as when I spent the day with these incredible creatures at Patara Elephant Farm, up in the mountains of Northern Thailand. 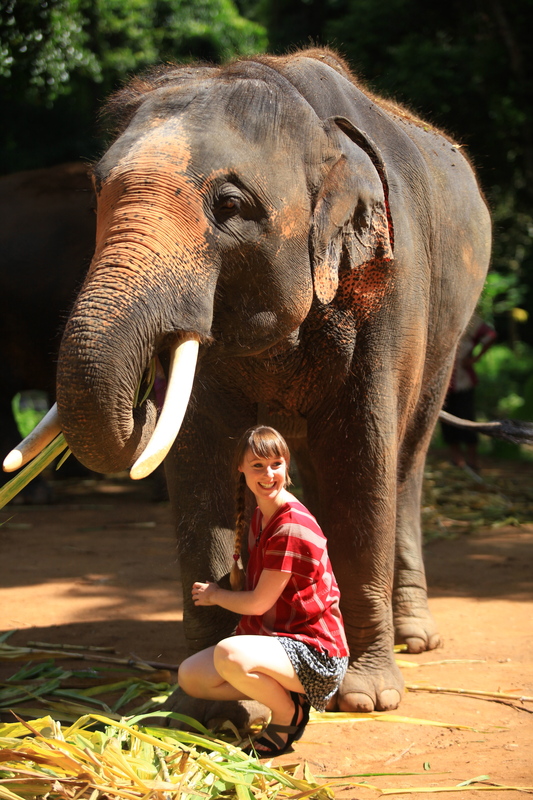 Before visiting Chiang Mai, I did a fair bit of research into “ethical” elephant tours; I desperately wanted to get up close to elephants and ride them, but I wanted to make sure that the animals were well looked after, happy and free to roam around. Patara ticked all those boxes and more. The elephants there are mainly rescued from farms where the owners are unable to care for them properly any more, and a few have been rescued from circuses. Patara has an active breeding programme to increase the dwindling numbers of Thai elephants left in the wild, which means that all of the baby elephants were born and raised there. Some less scrupulous elephant farm/tour companies smuggle baby elephants in from neighbouring countries as they can charge more for visitors to play with the baby ones. All the elephants at Patara roam free in the jungle, and know to come to certain areas for breakfast every morning. It was here that we were introduced to all of them and then each partnered with our own elephant, which we would look after for the day. 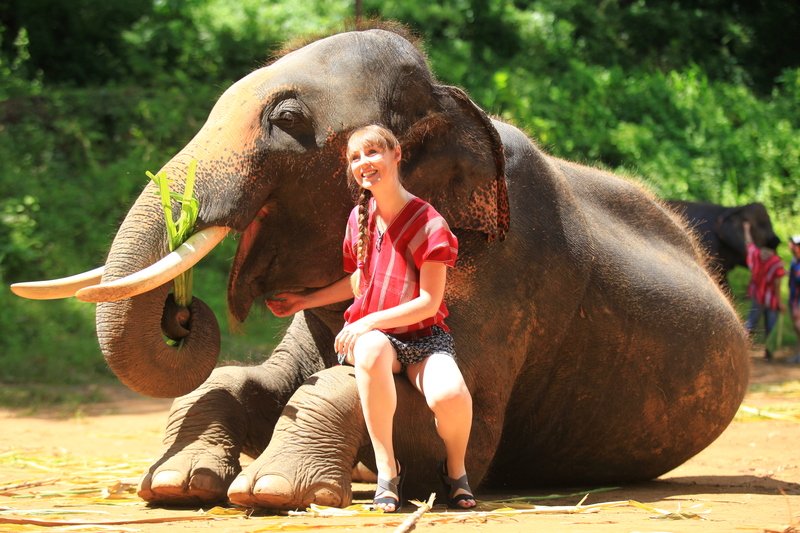 I was partnered with Puchan – the biggest bull elephant they had! Aside from trying to mount one of the female elephants all morning (I now see why Patara’s breeding programme is so successful! ), he was very gentle and seemed happy to have me clambering all over him and feeding him sugar cane and bananas. I spent the entire day in awe of how cool the elephants were. I’d never seen one in real life before, but they are just like how I would imagine a dinosaur to be. They are huge, really huge, their skin is so think and the dexterity they have with their trunks is quite amazing – imagine being able to pick up a banana with your nose and then put it in your mouth. We were taught by our guides how to check our elephants for signs of good health (they only sweat out the gap above their toenails – who knew?! ), how to brush the bugs and dirt from their skin and how to feed them. Then we got to climb on and ride them through the jungle! 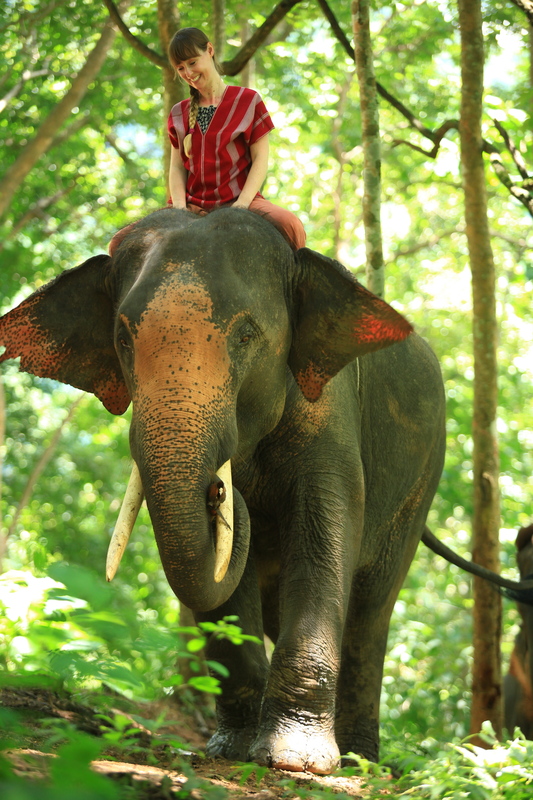 The only animals I’ve ridden before are horses; sitting on top of an elephant’s head is a bit more tricky… It took a bit of getting used to being so far off the ground with zero control of the animal I was sitting on, but it was amazingly good fun to ride them. After a quick stop for a very good lunch, we headed over to a waterfall to scrub down our elephants and then play with them in the water. 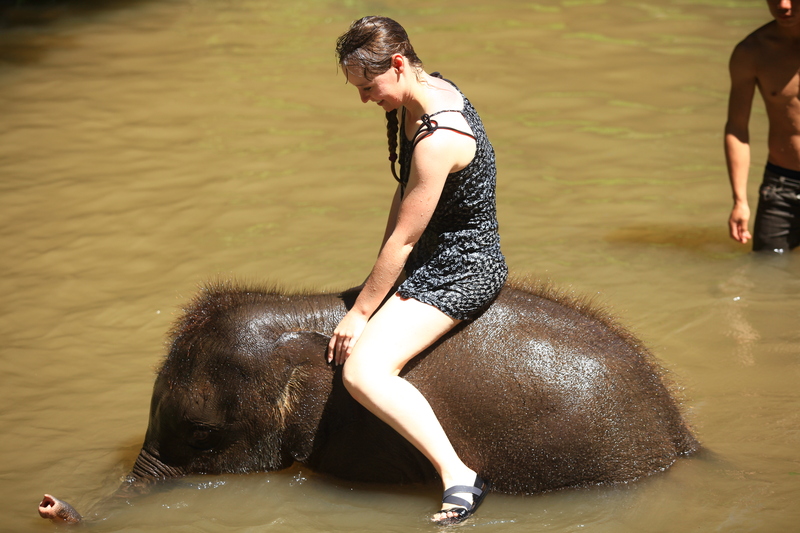 The baby elephants were hilarious – letting you sit on them in the water for a few seconds and then throwing you off. 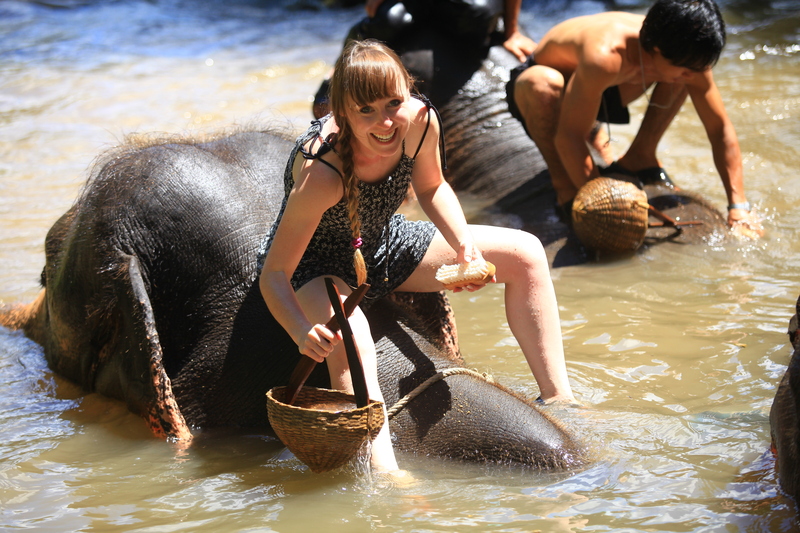 We ended the day having the best water fight imaginable: using the elephants’ trunks as our water pistols! One of the things that makes a day at Patara really special, is that they have an extremely good photographer following you around all day, so you don’t have to worry about taking photos and can just enjoy your time there. You then get a DVD of all the photos to take home with you, for no extra charge. How to get there: one of the workers from Patara will pick you up form and drop you off at your hotel, so no need to worry about transport. 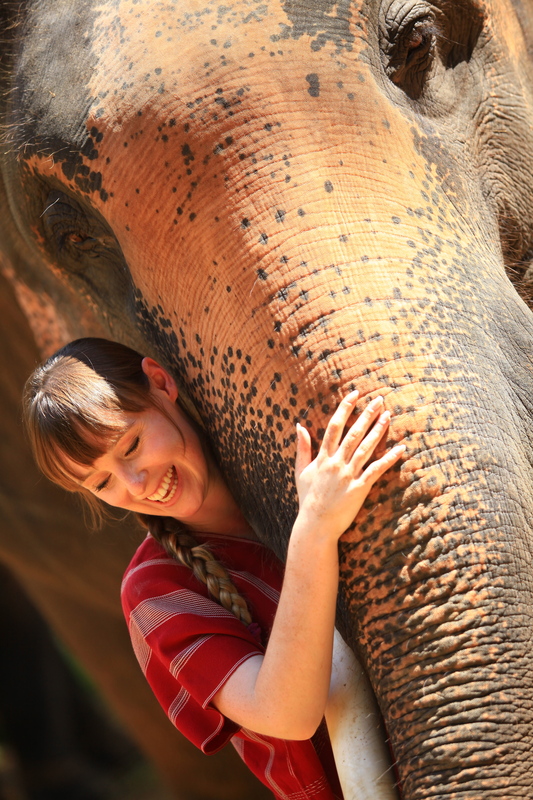 Holly’s Top Tip: book in advance – to keep the elephants happy and healthy, they only let a few people go every day. Omg that’s so cooooool!!! Elephants are just so beautiful and cute!! To get so close to one and interactive and have fun, I’m so jealous!! Thanks for sharing!! I’d love to visit one day ! !